Donald Donaldson is a recluse, a nudist, and the inventor of Salmon Socks. Although he is most comfortable without clothes, he was tired of getting thorns in his feet while walking in the woods surrounding his secluded cabin. 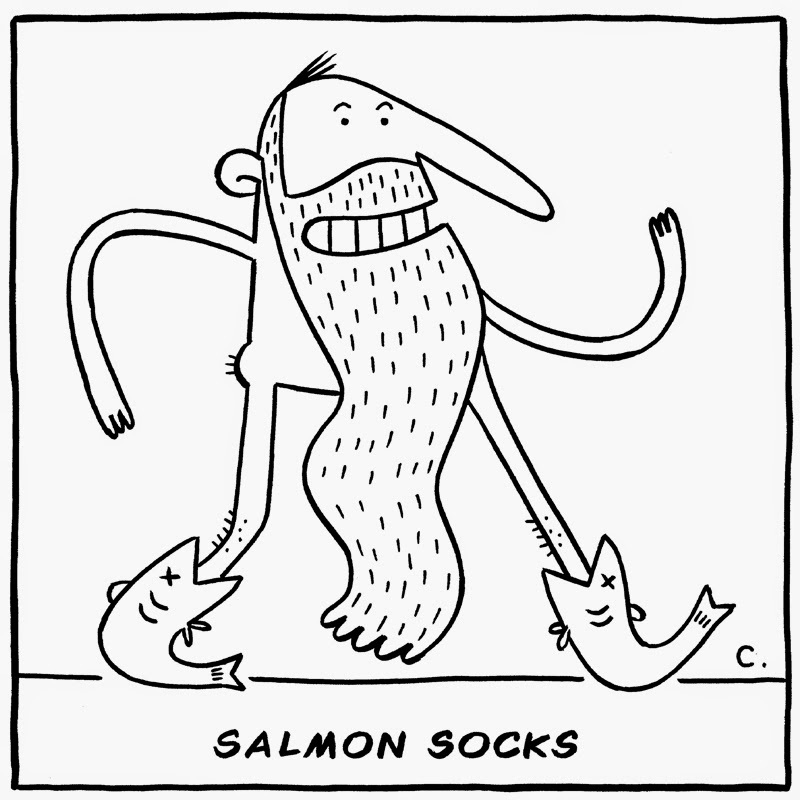 He spent several months testing a variety of natural footwear options, from squirrel shoes to bird boots, before finally settling on Salmon socks. (Prismacolor Premier Brush Marker. Staedtler Pigment Liner 0.8. 28lb. Laser Paper.